Renée LaBran is a board director, business advisor, and investor with 25+ years of executive management experience in both start-ups and major corporations, across a range of industries including digital / technology, media, and consumer goods. She brings strong financial acumen along with a breadth of strategic and operating expertise, including managing for growth and M&A, navigating industry disruption, as well as technology / digital transformation. Ms. LaBran currently serves on several private company boards and one board for the State of CA. Her private boards include Sambazon (leading provider of acai products, with operations in US and Brazil), Idealab (longest running technology incubator), and TomboyX, (early stage e-commerce company in Seattle). In 2015, Ms. LaBran was appointed by Governor Brown to the California State Bar Board of Trustees (the regulatory board for the legal profession) as a non-attorney public member. She has served on the audit committees for Sambazon and the State Bar, and is a qualified audit committee financial expert. For the last 15+ years, Ms. LaBran has worked in the venture capital industry, initially as a founding partner of Rustic Canyon Partners, a technology focused VC fund launched in 2000. RCP also served as the launching pad in 2006 for RC/Fontis, a growth stage fund. Ms. LaBran is currently an angel investor in and advisor to a number of early and growth stage businesses. She is also a lecturer in the UCLA Anderson Business School’s MBA Program. 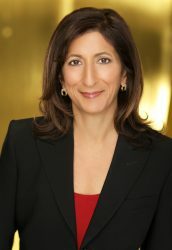 Prior to venture capital, Ms. LaBran held a variety of executive management positions at The Los Angeles Times, overseeing $300MM in revenue and was instrumental in launching their digital initiatives, including co-founding two media industry joint ventures – Classified Ventures and CareerPath (now CareerBuilder) where she also served as CEO. Prior to the LA Times, Ms. LaBran was a management consultant with Monitor Company US and Europe, working on corporate strategy projects. Ms. LaBran has been active in empowering female entrepreneurs, and is a co-founder of Women Founders Network in Los Angeles. She is also active in Women Corporate Directors. She is Chair Emeritus of Hathaway – Sycamores Child and Family Services in Los Angeles County. Ms. LaBran is an honors graduate of Harvard Business School and received her BA in Economics from UC Berkeley where she was elected to Phi Beta Kappa. Gabrielle Sulzberger is a seasoned financial executive with over 30 years of experience assisting public and privately held companies in consumer products, retail, financial services and health sciences. Gabrielle has helped companies globally navigate disruption and transformation, execution of major M&A transactions, and engagement with shareholder activists. She brings deep corporate governance experience through her work with corporate boards and is qualified to serve on audit committees as a financial expert. For the past twelve years Ms. Sulzberger has served as General Partner of Rustic Canyon/Fontis Partners. 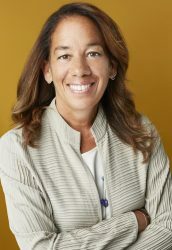 Prior to joining RC/Fontis, Gabrielle served as CFO of several public and private companies, including Gluecode Software, a venture-backed open source software company which was sold to IBM, and Crown Services, a California based consolidation of commercial contractors. Until August of 2017, Ms. Sulzberger served as Chairman of the board of Whole Foods, where for 13 years she had previously served as Chair of the company’s audit committee. She currently serves on the board of MasterCard, Brixmor Property Group, where she chairs the governance committee, and two private-equity backed companies: Acorns and True Food Kitchen, where she serves as Chairman of the Board. Previously Ms. Sulzberger served on four other public company boards: Teva Pharmaceuticals, Stage Stores, IndyMac Bank, and Bright Horizons, and numerous private company boards. Gabrielle is a Trustee of the Ford Foundation. She also serves on the Boards of the Women Corporate Directors Foundation, the National Association of Corporate Director’s Audit Advisory Council, Trinity Church Wall Street and she is a Henry Crown Fellow of the Aspen Institute. In 2014 she was named a Top 100 Director by the National Association of Corporate Directors. Ms. Sulzberger received her B.A. from the Woodrow Wilson School of Princeton University. She received her M.B.A. from Harvard Business School and J.D. from Harvard Law School and is a member of the Massachusetts Bar. Daniel L. Villanueva is a founding partner of Rustic Canyon / Fontis Partners, LP. 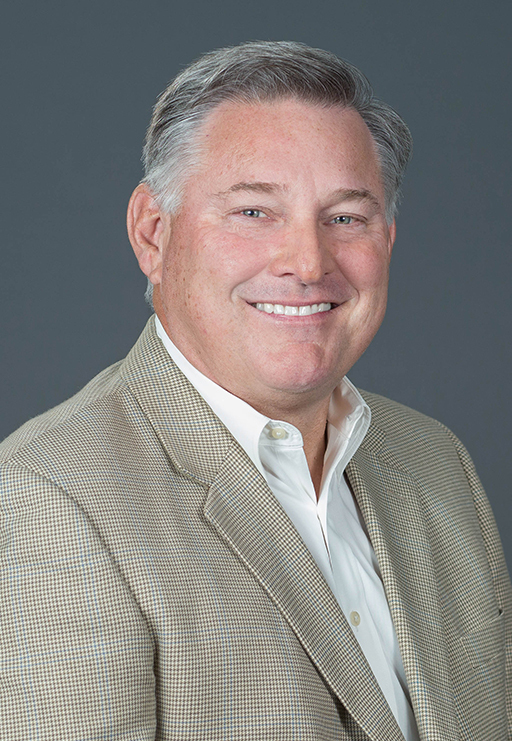 He is also a founding partner of Mestizo Foods of Ocala, FL, and heads the Villanueva Companies, a closely held group with various investment interests. Villanueva has been involved in Spanish-language broadcasting and started several companies. Among them, he led the launch of Major League Soccer in Southern California as the founding president of the Los Angeles Galaxy until its sale to AEG. Villanueva is also known for his role as co-founder of Moya, Villanueva & Associates, Inc., a national marketing and public relations firm that was acquired as part of DMBB Worldwide. He also co-founded Radio America, Inc., a company involved in nationally-syndicated programming and radio station ownership. Additionally, he managed Spanish-language television stations KTVW-TV of Phoenix and KMEX-TV of Los Angeles, both Univision affiliates. Villanueva received his Bachelor of Science degree from Stanford University in contemporary Spanish literature. He is a Henry Crown Fellow of the Aspen Institute, recipient of the Hollzer Memorial Award from the Jewish Federation for outstanding civic leadership and businessman of the year for the Silicon Valley Hispanic Chamber of Commerce. Currently, Villanueva serves on the boards of Pneumoflex Systems, Fuller Theological Seminary, The Fuller Foundation, ACMNP, and the Colorado Community College System. He previously served on the boards of World Vision, Inc., Los Angeles Chamber of Commerce, Pan American Bank (NASDAQ: UPFC), Los Angeles Sports Council, California Community Foundation, Occidental College, Tomas Rivera Policy Institute, Los Angeles Educational Partnership, Special Olympics, East Los Angeles YMCA, and Junior Achievement of Southern California.